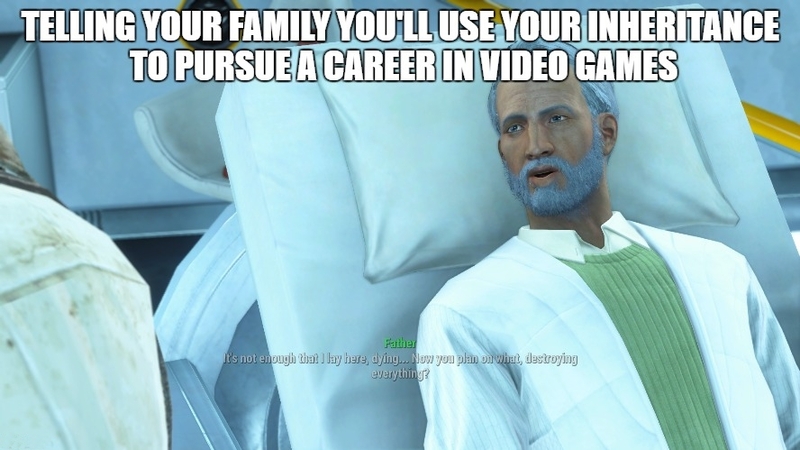 Not everyone appreciates an exciting career choice. Making extreme amounts of cash (bottle caps, rupees, virtual gold nuggets). I fail to see why my family won’t support this extremely well thought out decision. I don’t get it either. Some of those perks are insane. This is obviously a well thought out and realistic plan.